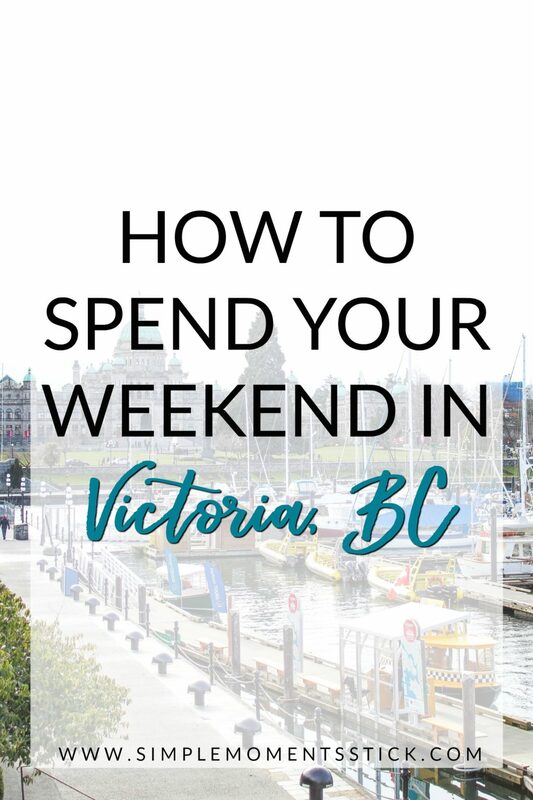 I’m finally finishing up posts on our weekend in Victoria and definitely feel as though a summary of our weekend was needed! 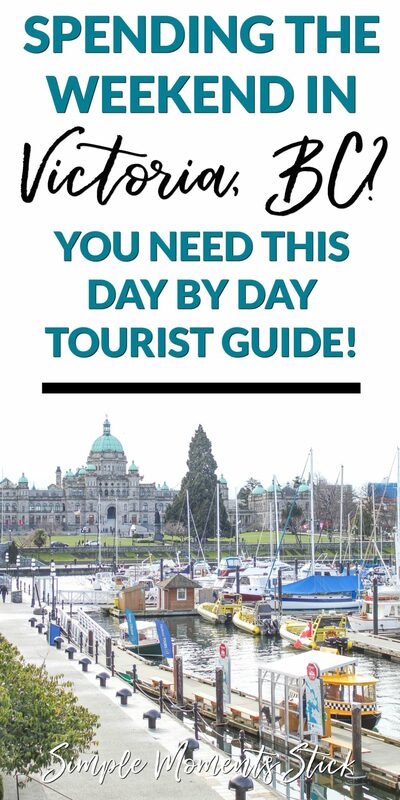 Make sure you keep this post handy if and when you visit Victoria in the future! Typically when Nate and I travel we try to stay in Airbnb rentals. 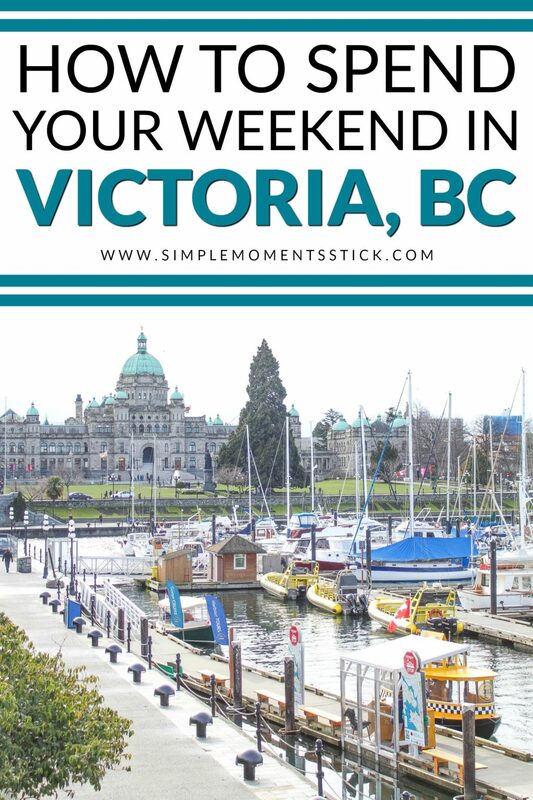 When planning our trip to Victoria, we decided to stay at a hotel since we wanted to be in the heart of Victoria. We looked for cheap accommodations that served breakfast and were walking distance from most of the sites we wanted to see and the Strathcona was where we landed. We booked the cheapest queen size room and didn’t know what to expect. We’re pretty easy going with accommodations so we weren’t too worried. Thankfully, the lodging was great! It was a really small room that only fit the bed, nightstands, TV stand, and one chair (and the bathroom, of course) without much extra room for moving around but that was all we needed. The breakfast was a typical continental breakfast but it was filling and was served until 10am which was perfect for us as we liked taking our time getting up and ready in the morning. I’d highly recommend the hotel to others looking for an affordable but nice place to stay in Victoria! Parliament Building: Check out my post on our visit here or get more info about the tours! Ghost Tour: I didn’t blog about this since it’s hard to take pictures at night but you definitely need to go on this fun tour of the city – even if you’re like me and don’t believe in ghosts. The history and legends we learned during the tour were interesting and totally worth it! Find out more about the tours here! Art Gallery of Greater Victoria: We’re not total art lovers but this was included on our Be a Tourist in Your Own Hometown pass so we thought we’d hit it up on a whim. We didn’t spend a ton of time here but enjoyed seeing some interesting pieces of art. I could see lovers of art totally loving this gallery! If art galleries are up your alley, find out more here! 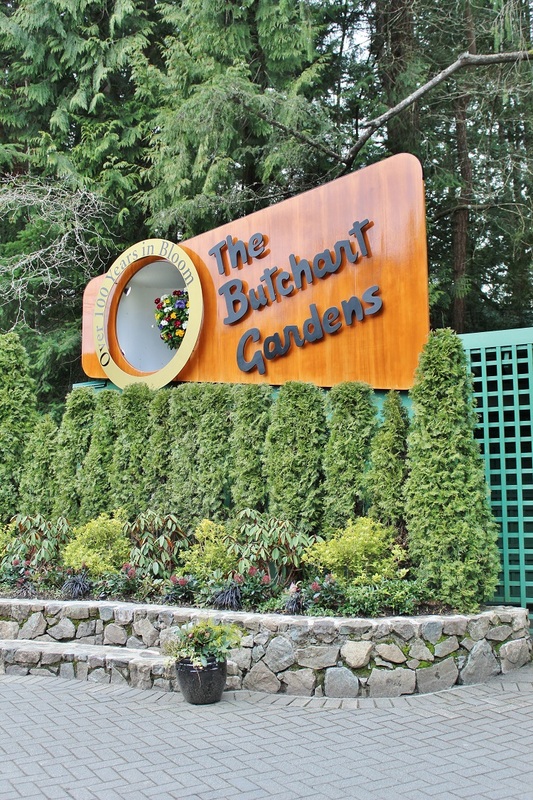 Butchart Gardens: Check out my post on our visit here or get more info about the gardens! Victoria Caledonian Brewery & Distillery Tour: Check out my post on our visit here or get more info about the brewery! 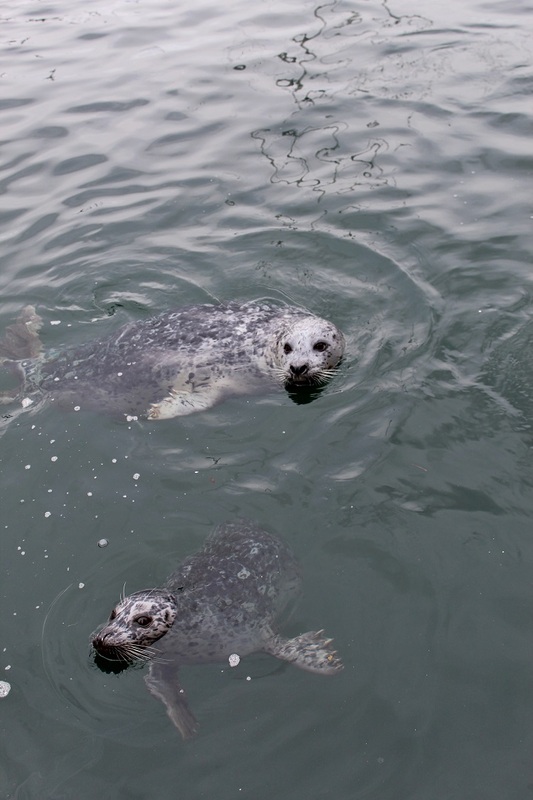 Fisherman’s Warf: Check out my post on our visit here or get more info on the warf! 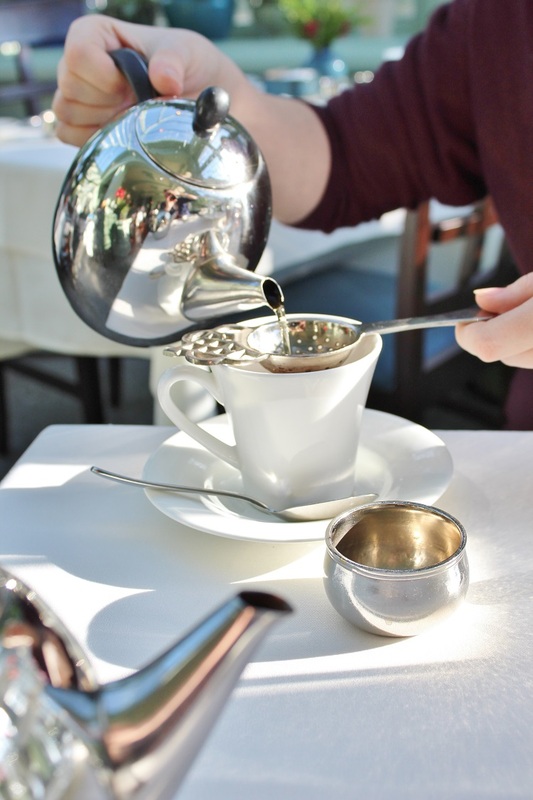 High Tea at the Butchart Gardens: Check out my post on our visit here or get more info on high tea! China Town: We didn’t have long to spend in Victoria on Monday morning so we walked through China Town. It was small but brought back some fun memories of growing up in Taiwan for me! We wished we would have saved time to go on a walking tour of China Town so consider adding that to your list! Find out more here! Fan Tan Alley: I love kitschy little things so when I found out that Victoria’s narrowest street (in fact, the narrowest street in Canada) was in China Town we had to walk through it! It was a little anti-climactic but still something I felt had to be done while in Victoria. Find out more about the street here! One of Nate’s a my favorite things to do while traveling is eat good food! We try to do cheap or free breakfasts, cheaper lunches, and the splurge a little for dinner. We didn’t love all the restaurants we visited (namely a sketchy Asian restaurant that claimed to have fish and chips…) but here are the places I’d recommend. Menbow Ramen Bar – Fantastic ramen and the portions were big enough that we split one bowl of ramen and two appetizers and were full! Sticky Wicket – Attached to the Strathcona Hotel. The pub style food was great and it was very convenient that it was right near our hotel. Bard & Banker Public House – We went to this restaurant for drinks and dessert after the ghost tour and really enjoyed what we got! The dinner menu looked fantastic too! The Penny Farthing Public House – This pub had more of an English or Irish feel to it and Nate and I both got Shepherd’s Pie… Which was fantastic! 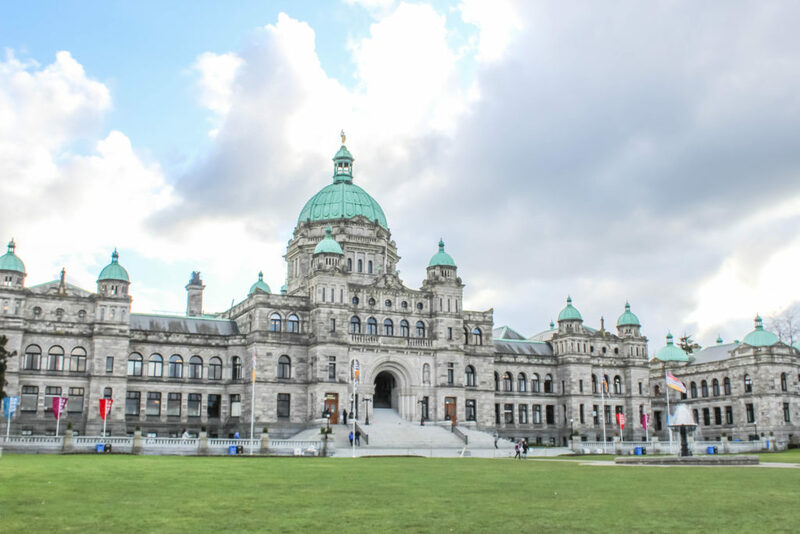 What would you add to the list of things to do in Victoria?